2015 has bought me more writing that every before from writing content for corporate HR and Leadership, Penning prose on my love of yoga, food and manifestation, to wiring 3000 word uni assignments. Even though at times the pressure has been on with juggling deadlines and competing priorities, I have loved every minute and am more certain than ever that a book (if not a book series) is inside me somewhere. When one house mate left I was unsure if I wanted another, and then Louie turned up. She is incredible easy to live with, we share a passion for slow cooked lamb shanks and offbeat conversations. I still have one foot in corporate while I continue to grow and build my yoga and coaching business. This has alowed me to keep moving forward with financially supporting my passionate endeavours and also continues to help me broaden my skills in understanding sales and marketing. Being debt free is something that seemed so insurmountable only 2 years ago. Time to build wealth baby! Millionaire mindset for 2016. Yoga has kept me sane throughout the year. My schedule is jam packed and I didn’t really know how I was going to find the time to run my first yoga program, but I did. I’m so glad I made it happen, I enjoyed every moment and it’s very humbling to see not only how far I have come (nervous wreck at teacher training) and more importantly how far my students came. I learnt so much from them in each and every class, and their laughter and enthusiasm has spurred me to add more classes for 2016. Anyone else single at 36? Seriously dating in your 30’s is like having another full time job. What with online dating, dating safaris, tinder dear universe help me please! Somehow, out of the ether a man arrived who cracked my heart wide open for the first time in a long time. Now separated by the Atlantic ocean I can only be truly grateful for the experience and the knowledge that there is definitely someone out there that truly understands and sees me for who am, flaws, wounds and all. Travel is always near the top of the list for me and I was unsure if it was going to get a look in 2015. Bali and Thailand were both on my vision board and glad to see a visit was made, actually as we speak! I feel like i endured rather than lived through 2014, it was rife with toxic work situations, colleagues and family illness. When my new boss decided that we would work from home early 2015, it really gave me the space I needed to heal and recover from months of anxiety and adrenal fatigue. Finally, after about 10 years worth of websites that never really felt like me. I have an online space I adore. Its bright and bold which totally suits my personality. 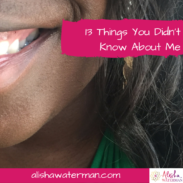 This really started out as a Mastermind Group for a few close friends, and the experiences we shared, the way we supported each other and the dreams that came into fruition in that time led to me writing the Super Charged Sisterhood program. In 2016, I will be supporting a group of women to get focused on their dreams, get practical about building a plan and make them happen. If you’d like to know more check out how to work with me. My word for the year was EXPANSION! I wanted to grow outside my current boundaries, stretch my mind, and step one foot closer to doing work that I love. Mission complete with a steep learning curve around marketing, teaching yoga and putting myself out there, embarking on MBA and then switching to the EMBA. Knowing when things don’t feel right and being brave enough to call it and make a change was a great lesson for me in 2015. 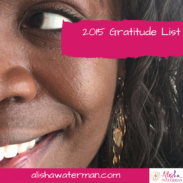 What’s on your gratitude list for 2015?